Back to your everyday basic black combat gear (albeit with heeled boots—how do these actors run in these boots??? ), on the Minority Report-esque TV show Person of Interest, we eventually shift from the two male main characters, the quirky Mr. Finch (Michael Emerson) and the silver fox John Reese (Jim Caviezel). Starting at the very end of season one, the showrunners introduced the character of “Root,” a genius computer hacker who renamed herself after the root code in a computer program. She is pretty much psychotic, and nobody does psycho like Amy Acker, because even when she is preparing to torture you she is just so darn sweet. 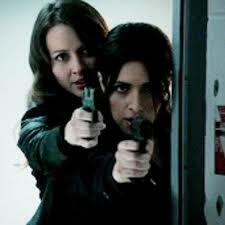 Starting in Season two, they also introduced Sameen Shaw, a former ISA assassin who self-identifies as having Axis 2 Borderline Personality Disorder and occasionally calls herself a sociopath. As she describes it to a little girl she is trying to protect, “You know that thing that makes you flinch? I don’t have that. I don’t do most emotions. Although I’m pretty good at anger.” Although once again we see women being badasses primarily because they are in some way kind of broken, it is also sort of refreshing to see mental differences being portrayed on television at all, and not entirely in bad ways, especially as we get to know the characters and they get to know each other and come to first respect each other and then eventually like each other. 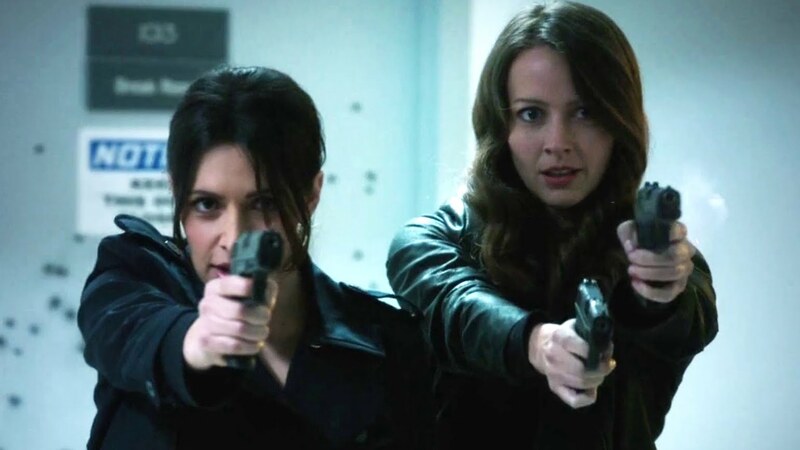 Shaw and Root also have an interesting chemistry that appears most strongly when they are shooting people together. As disturbing as that is to think about, it’s also lots of fun to watch. Also, from earlier seasons, Taraji P. Henson as Detective Carter and Paige Turco as Zoe the fixer also make it work whether in uniform or little black dresses. La la la. Our definition of combat gear, like our definition of poetry, continues to expand. This entry was posted in inspiration, popular culture and tagged Amy Acker, Axis 2 Borderline Personality Disorder, Detective Carter, Finch, Jim Caviezel, Michael Emerson, Minority Report, Paige Turco, Person of Interest, Reese, Root, Sara Shahi, Shaw, Shoot, sociopath, Taraji P. Henson, Zoe.